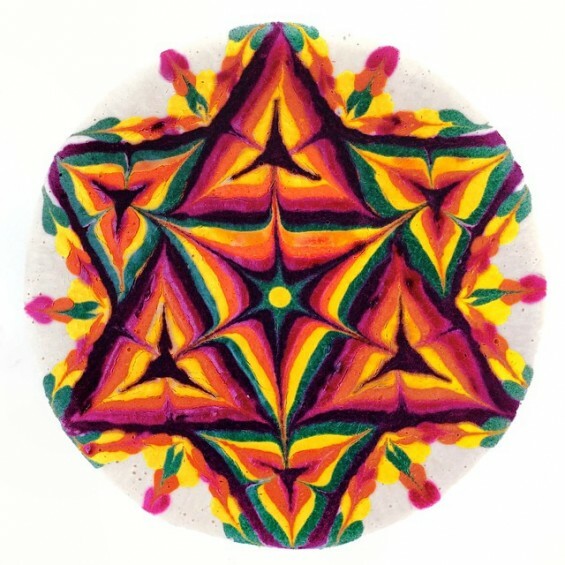 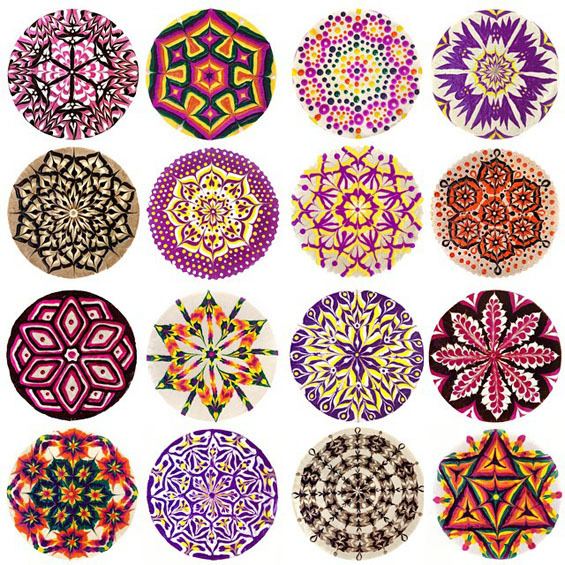 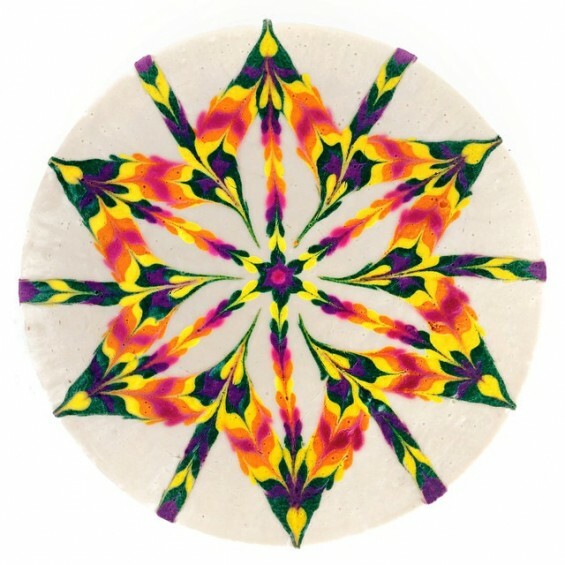 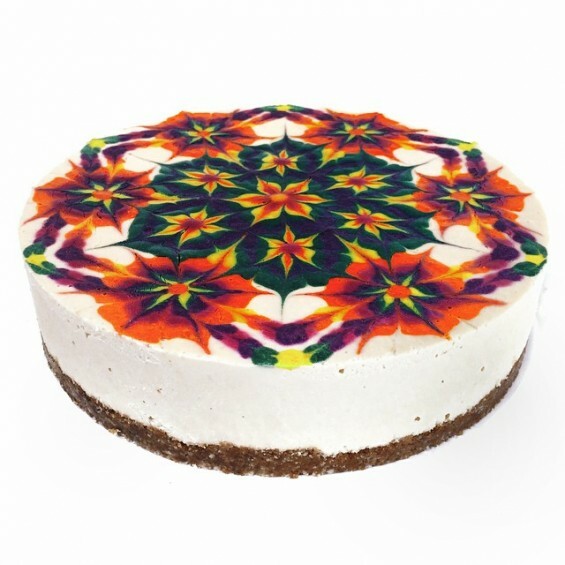 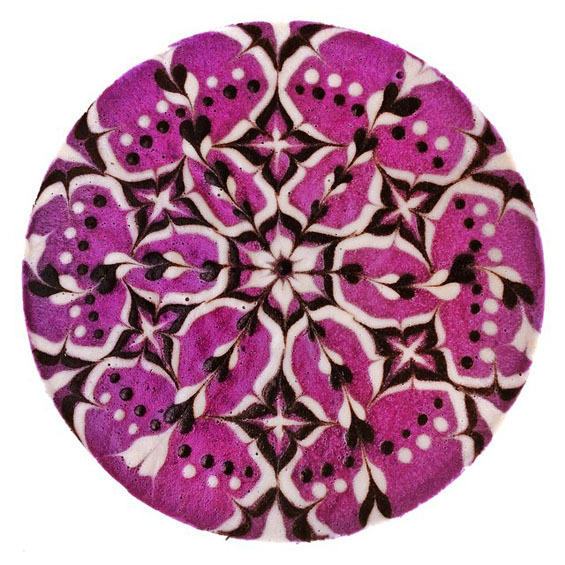 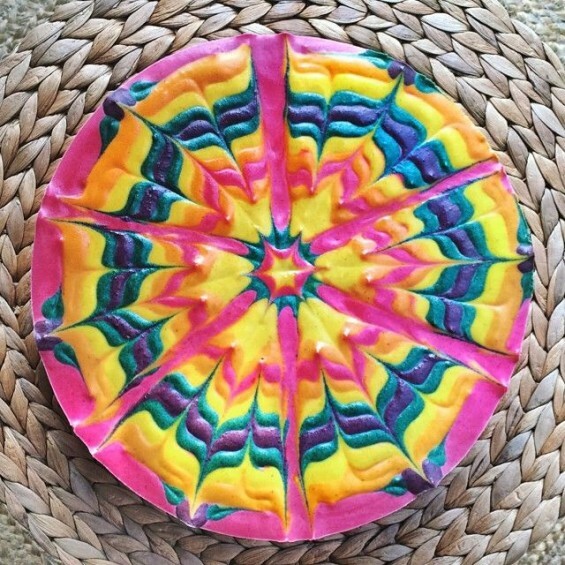 These mandalas are the creations of baker Stephen McCarty‘s Sukhavati Raw Desserts, all are vegan and several are all-raw. 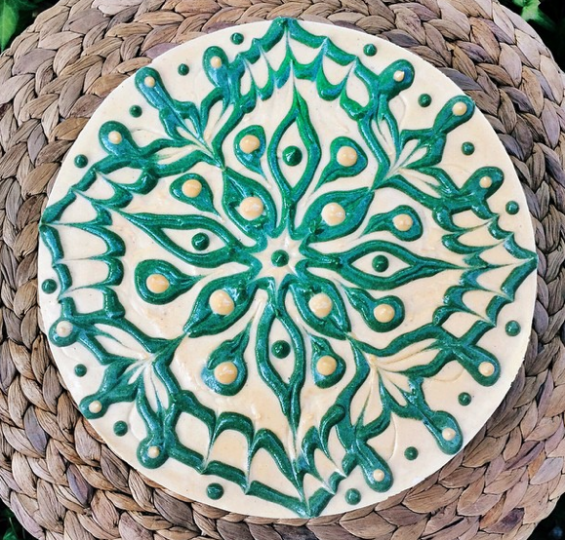 Not my first dietary choices by I’d not push my chair away from the table were they presented to me. 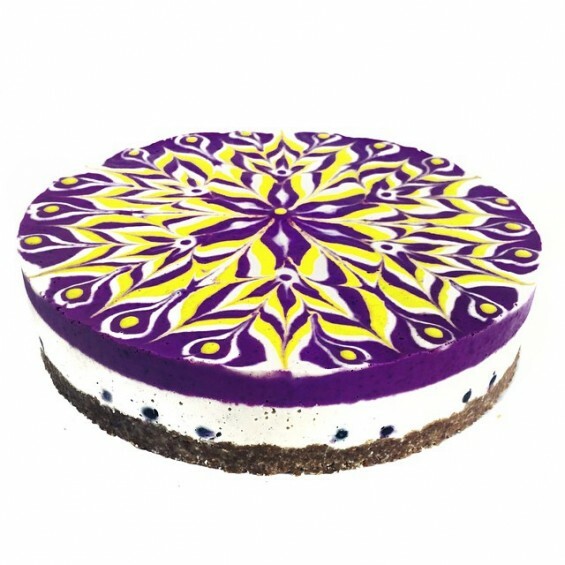 The colors used in McCarty’s cakes are all made from natural plant and fruit extracts. 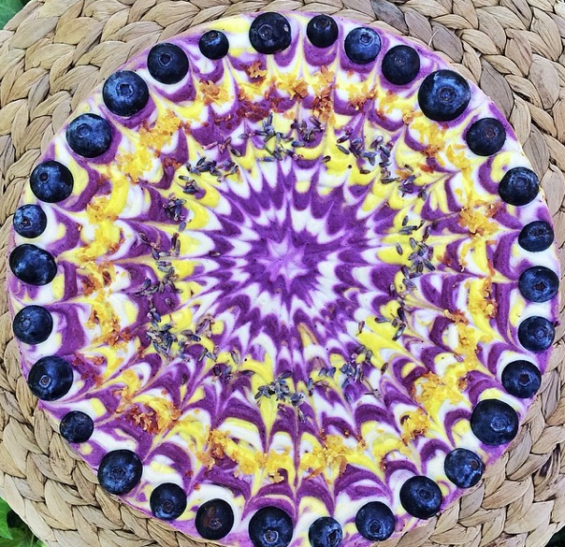 His creations include a banana-jungle nut butter-chocolate cheesecake, coconut-lime-raw vegan cheesecake, and an acai-blueberry-mango cheesecake.